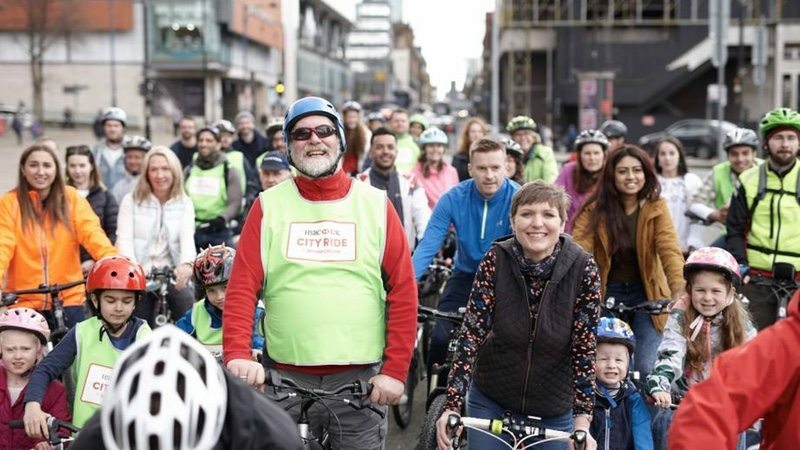 The announcement of the new mass participation events is the first step towards British Cycling and HSBC UK’s ambition to make cycling the UK’s most popular activity and sport of choice. Together they are working towards getting 2 million people on bikes by 2020. Great Britain’s most successful female Olympian, Laura Kenny, added “Events like HSBC UK City Rides are great for families with young children who want to experience the thrill of riding on roads for the first time in a comfortable and fun environment. “When I was growing up, I would have loved the opportunity to take part in an event like this with my family. It’s a completely free day out and is just about embracing the simple pleasure of riding through a city by bike, give people a new perspective. Giles Morgan, HSBC’s Global Head of Sponsorship, said “Our partnership with British Cycling is all about ensuring that anyone, anywhere in the UK has the opportunity and inspiration to get on their bike, whether that is for travel, fitness or fun. Over the next eight years we will work with British Cycling to embed cycling into communities up and down the country and inspire two million people to get on their bikes.